A Brief Visit To Long Island Wine Country Harvest Season is Here! As Summer is coming to a close, it’s time to start planning for the Fall! For these wine country destinations, Fall is full of excitement as they prepare for the harvest of 2016. Come explore these rustic, unique, and beautiful destinations for any holiday, or even just a weekend getaway. See what they have to offer this harvest season! Eleven Eleven Wines was born out of a series of synchronized, coincidental events that brought owners: Ellie Anest, Aurelien Roulin, and Carol Vassiliadis together. Making Eleven Eleven the perfect name, because it symbolizes every surprising, awe-inspiring, or fated moment that awaits us all. Bearing this in mind, Eleven Eleven’s tasting room invites you to “make your moment” with an inviting list of tasting options in an unrivaled atmosphere that fulfills all of the senses. You can opt for the Eleven Eleven Experience, a sampling of six wines; a wine and artisan cheese pairing; or arrange in advance for a number of custom experiences tailored to your desires. At the end of a narrow lane lined with Italian olive trees, White Oak Vineyards & Winery welcomes you to join in the celebration of its unique 35-year heritage of producing distinctive and award-winning varietals. White Oak’s manicured landscapes, fountain, picnic spots, and outdoor artwork make for a visually stunning experience. 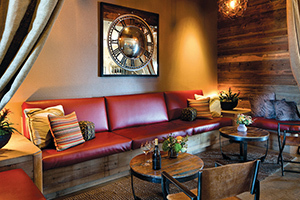 Be sure to make a reservation in advance, for a seated tasting of five wines paired with special bites and enjoy the new bistro-style tables crafted from old oak barrels. After your tasting, explore the two-story art gallery and then settle in for your picnic in the courtyard. Located on the riverbank in the heart of downtown, this Napa Valley hotel is within walking distance to more than 15 Napa Valley wine tasting rooms, many Napa restaurant options, and surrounded by plenty of boutique and specialty shopping. Replenish your spirit and sense of fun this fall season, and enjoy the autumn harvest in the heart of wine country. With 180 guest rooms that are pet friendly and offered with great packages as well as the critically acclaimed La Toque restaurant, there’s nothing holding you back from booking your ideal fall getaway! Founded by Paul and Kellye Manuel, Chacewater Winery & Olive Mill produces premium wine and olive oils. Working with their three sons and a small, dedicated staff, Paul and Kellye have marked steady success since they released their first wine in 2011. The very next summer, the winery won the prestigious 2012 California State Fair Golden Winery of the Year award, setting the tone for many subsequent awards for both wines and olive oils. This lovely tasting room in Kelseyville feels like a general store with delightful merchandise and attractive tasting bars. Try an olive oil tasting and see if you can detect the nuances between them. The stunning Santa Ynez Valley is a road trippers dream with barely traveled rural routes leading you from town, to village, to winery. 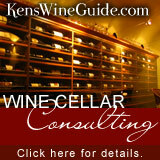 With advance planning you can discover hidden gem wineries as you enjoy these beautiful trails. Besides several tasting rooms along Alamo Pintado and Foxen Canyon Roads, there are tasting rooms in every town, with wonderful restaurants to try. Other wineries are tucked in the hillsides, so be sure to map your route in advance and book appointments at hidden treasures like Pence Ranch, Dierberg Star Lane, Happy Canyon Vineyard, and Demetria. 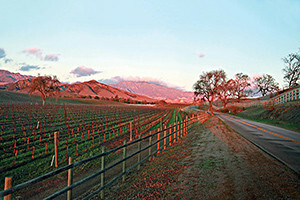 The valley also offers some truly unique and wonderful accommodations in the towns and villages of Ballard, Buellton, Los Alamos, Los Olivos, and Santa Ynez. So, book your trip today! Halfway between wineries of northern Napa Valley and Lake County you will find Twin Pine Casino & Hotel, the only wine-themed casino destination in the US. For wine savvy tourists who embrace the casino lifestyle, Twin Pine offers 25,000 square feet of slot machines and blackjack and the Grapevine Bar & Lounge. For the full dining experience, the Manzanita Restaurant is open for breakfast, lunch, and dinner which often includes a wine pairing program prepared by Manzanita’s chefs. With deluxe, spacious hotel rooms, Twin Pine strives to provide the ideal all-around experience. Besides an inspiring wine, craft beverage, and food scene, the Yakima Valley is sunny, relaxed, and friendly, making it an ideal escape. 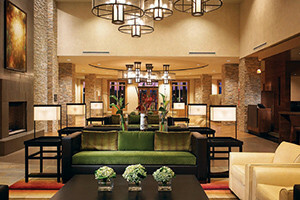 For lodging, visitors are finding an increasing number of unique options. 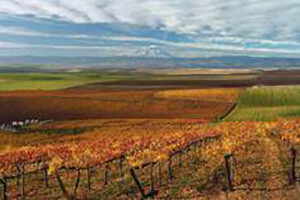 Home to more than 17,000 acres of vineyards including Washington State’s oldest AVA, the Yakima Valley provides the grapes for more than one-third of the wines produced in the entire state. With more than 40 commercial crops, the Yakima Valley has the largest variety of fresh grown produce in the Pacific Northwest. This fact is evident in the farmer’s markets and numerous farm-to-table dinning options. Fall is a perfect time to visit the Yakima Valley as both the Fresh Hop Ale Festival and the Catch the Crush events take place in early October. Klinker Brick is the ideal Lodi locale to enjoy a picnic lunch. Set up your spread at one of the six picnic tables, each with it’s own umbrella, and indulge in one of their award-winning red wines like the Old Vine Zinfandel. It’s easy to feel right at home here as families, including the dog, are welcome! And don’t forget to also go inside the tasting room to grab your furry friend a treat from behind the bar. While inside the tasting room enjoy one of the appealing wines while admiring the architecture composed of Klinker bricks and accentuated by lofty ceilings. 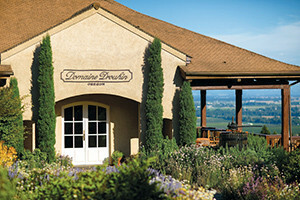 Since Grey Wolf Cellars was founded, Joe and Shirlene Barton have mastered the art of blending. Joe’s knack for finding the best grapes to combine allows for a unique taste of Paso Robles. When Joe and his wife Jenny decided to update the family’s farmhouse tasting room, they went a step beyond and transformed it into The Barton House, a homey, yet ultra-modern space that seamlessly blends the family’s past with the present. Beyond the wines, you can enjoy lunch served by Jeffry’s Catering five days a week. Behind the house, there’s a quiet spot with plenty of chairs for lounging under giant shady trees. A bit farther back, there’s the tasting room for KROBAR Craft Distillery, the ethanol-induced brainchild of Joe and fellow winemaker, Stephen Kroener. Here you can linger and sample hand-crafted spirits. Domaine Drouhin’s deep ties to Burgundy is evident not only in their gracious wines but in the winemaking itself. Their fascinating four-story gravity flow winery in Oregon’s Dundee Hills is truly a sight to be seen! Be sure to book an appointment for a casual walking tour to get a behind-the-scenes look at this unique winemaking procedure. As you move from vineyard to fermentation room and barrel cellar, you will have the chance to taste the Estate Chardonnay and Pinot Noirs. With some advance notice, you can bring a picnic to enjoy on the terrace where you can soak in the scenery! And don’t forget to check out the inaugural vintage from the Drouhin’s latest venture, the 2014 RoseRock Pinot Noir.